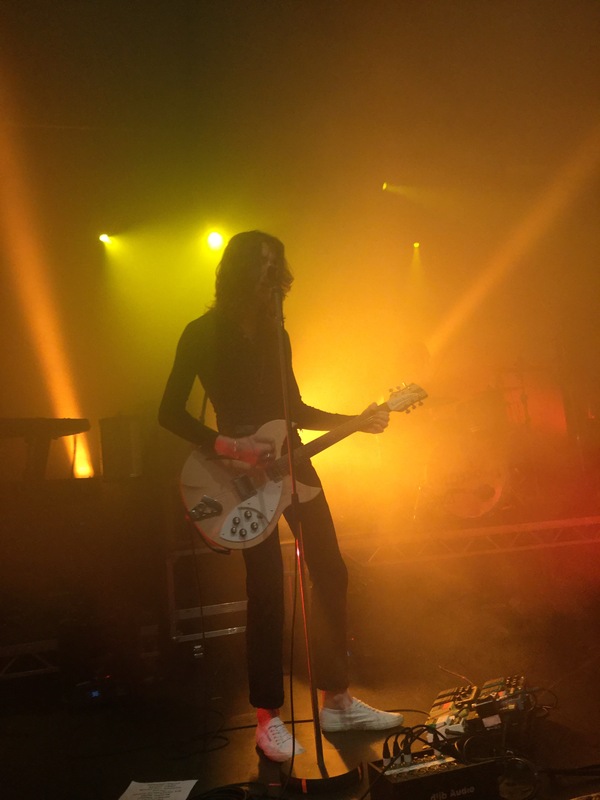 GIG REVIEW: Blossoms, Declan McKenna and Cabbage @ Rock City, Nottingham! The first time I’d heard of Blossoms was through a very modern way of band promotions – the five piece from Stockport had just released ‘At Most A Kiss’ and it popped up as an advert on a YouTube video; admittedly I click off most adverts on the website as soon as I get the chance to, but there was something really fresh and groovy about their sound which peaked my interest! Since that moment I’ve continued to follow the band, and I was impressed with their 2016 release ‘Blossoms’. I was not surprised when the album deservedly hit the No1 spot in the charts, nor when pretty much all their September/October dates sold out, including their Rock City date! 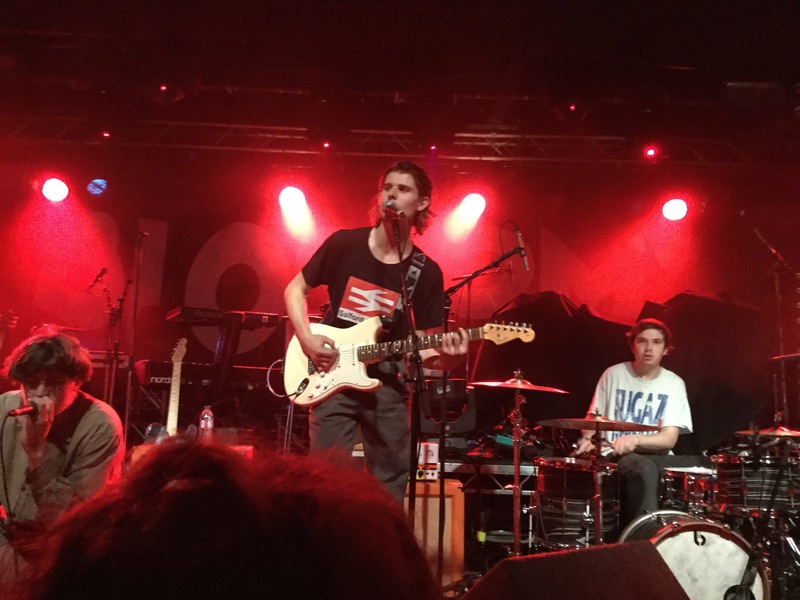 As it is pretty standard nowadays to have, there were a couple of support acts before Blossoms. Cabbage are also a five piece band, and like Blossoms they originate from a town on the outskirts of the metropolitan city Manchester (they are from Mossley, half an hour from Stockport). Like Slaves and Sleaford Mods, they sit in the post-punk genre, and with so many similar but fantastic acts around at the moment, I was unsure if Cabbage would live up to the more mainstream bands. As soon as their set started, I was captivated by their satirical lyricism and punk beats, and I was genuinely impressed with the way they performed – they used the stage to full effect, jumping around the entire time and even giving each other piggybacks by the final song! 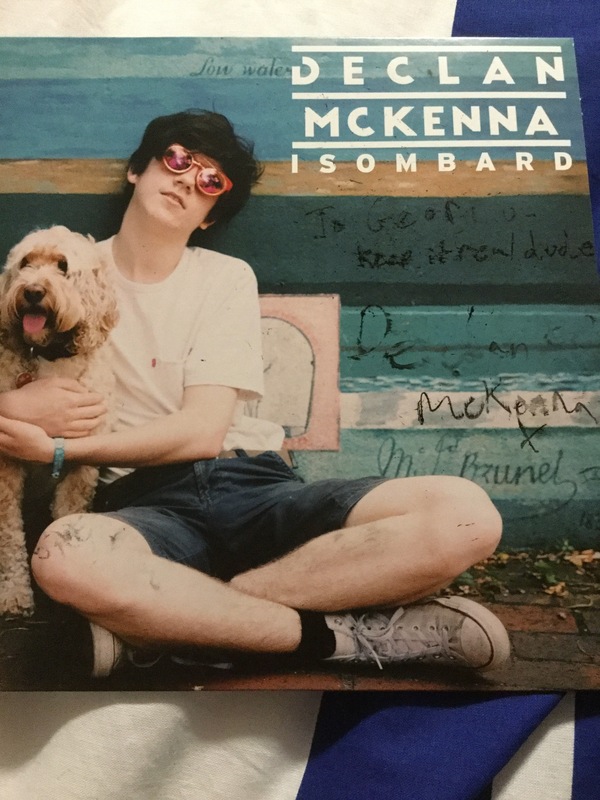 My personal highlight of their set was their last act ‘Free Stephen Avery’ which features an impassioned rightful plea to free the ‘Making a Murderer’ subject, and with cheeky references slamming Donald Trump I thoroughly enjoyed their ironic sense of humour conveyed through the lyrics! Cabbage are about to begin their own headline tour and it will be a treat to anyone who is heading to see them! Just like in my last review, I will rate Blossoms on several aspects of their live performance, before giving them an overall rating! Before I start reviewing the vocals, I feel it is a good time now to introduce the members and explain what their roles in the band are: Tom Ogden mans the lead vocals and also plays the guitar, Charlie Salt also contributes to vocals but also plays the bass, Josh Dewhurst plays lead guitar and the percussion, Joe Donovan is on the drums, and Myles Kellock plays the keyboards, synthesizer, and also contributed towards vocals! Throughout the songs on their set list there were songs with low notes but others which required pitch control through the higher notes, and Tom met all of these with ease and comfortability! Myles and Charlie also did not fault in their vocal parts in the songs as well! ‘My Favourite Room’ is as stripped back as Blossoms get – despite the performance in this part of the concert being mainly just Tom and his guitar, his vocals sounded really strong and you could sense every inch of emotion in his voice throughout the duration, and I genuinely sensed and believed that Tom had experienced a heart-wrenching breakup just like the manner of the one described in the song. For vocals, Blossoms get a 4.5 out of 5 from me! Many people have compared Blossoms’ music and live performances to those from the early Arctic Monkey days, and there was certainly that buzz and excitement lingering in the air during the entirety of their set! There were no lacklustre moments in the set, and the instrument playing clearly differentiated between the slower and upbeat songs in the set. Joe’s drumming skills were on fire and he played an essential part in keeping the tempo going, Charlie and Josh added zing with their respective guitar and bass playing, and Myles added a really funky essence to songs with his synthesiser and keyboard skills. Again, as a comparison to Arctic Monkey gigs, the crowd were insane and reacted to the energy by rushing to get as close to the stage as possible! Despite this giving me a fair few bruises from being crushed, I will score Blossoms 5 out of 5 on this section! Between songs there was a fair amount of banter and chat with the audience, and I felt that Blossoms have an enormous amount of love and appreciation for their fans! Such interaction actually led to my favourite moment of the night – just before ‘My Favourite Room’ the band asked if anyone had recently gone through a break up, and they started talking to this girl…it turned out that her ex was also at the concert! Slightly awkward for the girl and her ex, cruelly entertaining for me and the rest of her crowd! Talking to the crowd during a show has helped Blossoms gain the thrilling live show reputation they have, and they deserve a tremendous 4 out of 5 for this. 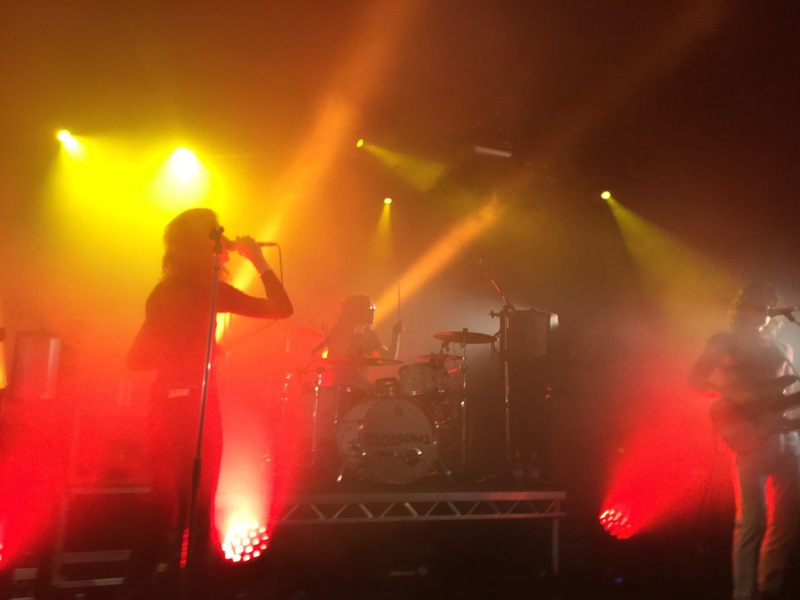 Just like at Slaves the other week, Blossoms played new and older songs; on their debut album they included some of their first recorded tracks ‘Blow’ and ‘Cut Me and I’ll Bleed’, and they featured during the set. Some bands admit they detest their earliest material and no longer feel a sense of connection, so I was delighted to see these still being played with as much drive and necessity as when they were first sung. They also sung their most well-known songs including ‘Charlemagne’, ‘Getaway’ and ‘At Most a Kiss’ – for these songs I think 90% of the crowd was singing along with the band! The choice of songs could not have been bettered, so they get full marks in this section! In total, I have given Blossoms a score of 18.5 out of 20 – many people had told me prior to the concert that I’d enjoy the band immensely, and they were far from being wrong! Previous Previous post: Surviving the first two weeks of university! Next Next post: GIG REVIEW: Newton Faulkner, Lauren Rycroft and Sound of the Sirens @ The Engine Shed, Lincoln!